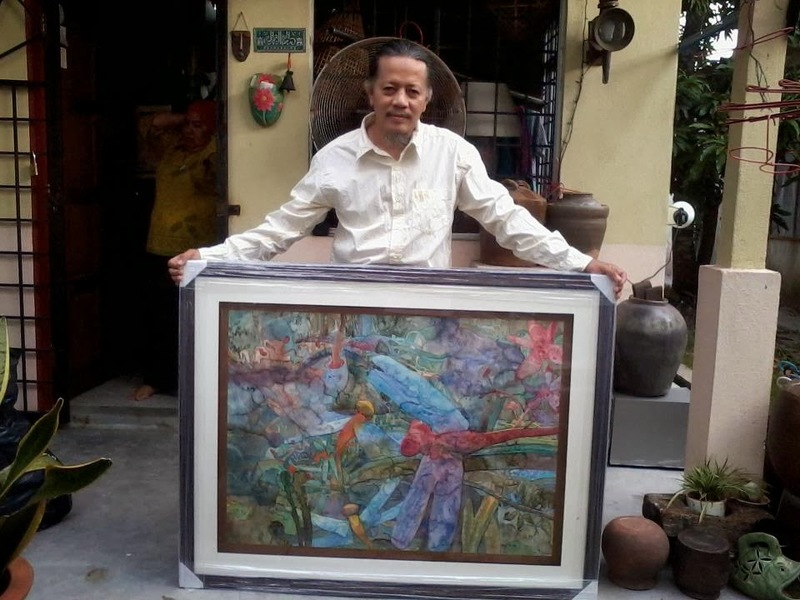 Maamor Jantan is well known for his Cakcibor (Dragonfly) series. 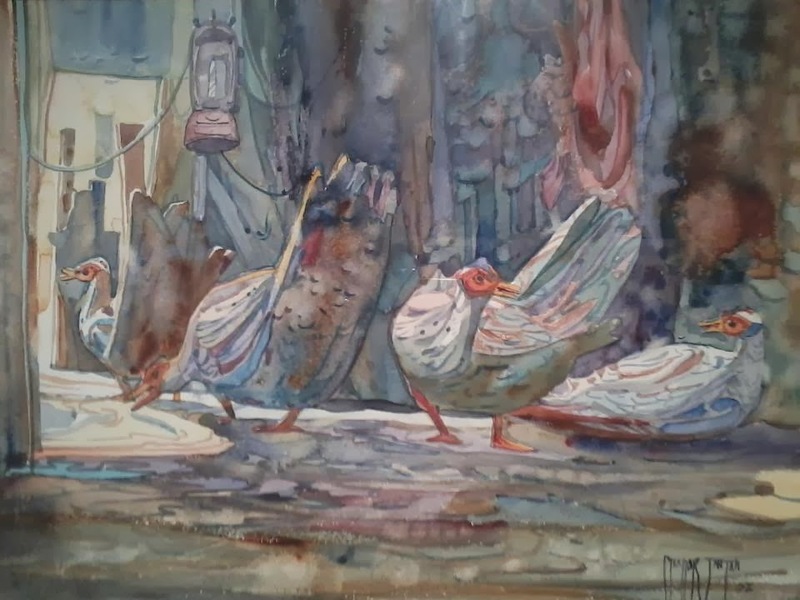 I cannot find another artist who paints watercolour with his speed and style. As a friend, I have seen how works seem to materialise from his brush. 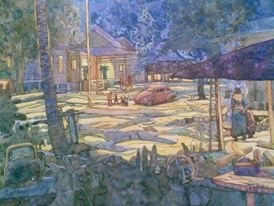 Even as he is talking, his brush seems to have a life of its own, transforming a white piece of paper into a magical scenery of rustic village scenery or a nocturnal view of a kampung. 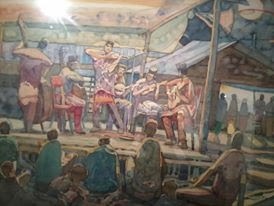 Maamor's most famous is his Cakcibor (Dragonfly) series, however, he is well-versed in other subjects like village scenes, night scenes and such. He also does oil. A scene of people watching a keroncong traditional concert performance in progress. Look at the colours. A Volkswagen parked under the light of the night. Itik Serati or the Malaysian shelduck is well portrayed by Maamor.